While Disney Tsums Tsums can be considered the fore-bearers or at least the benchmark for stacking plush figures, Wish Factory is hoping to change your mind on that with their Kawaii Cubes. 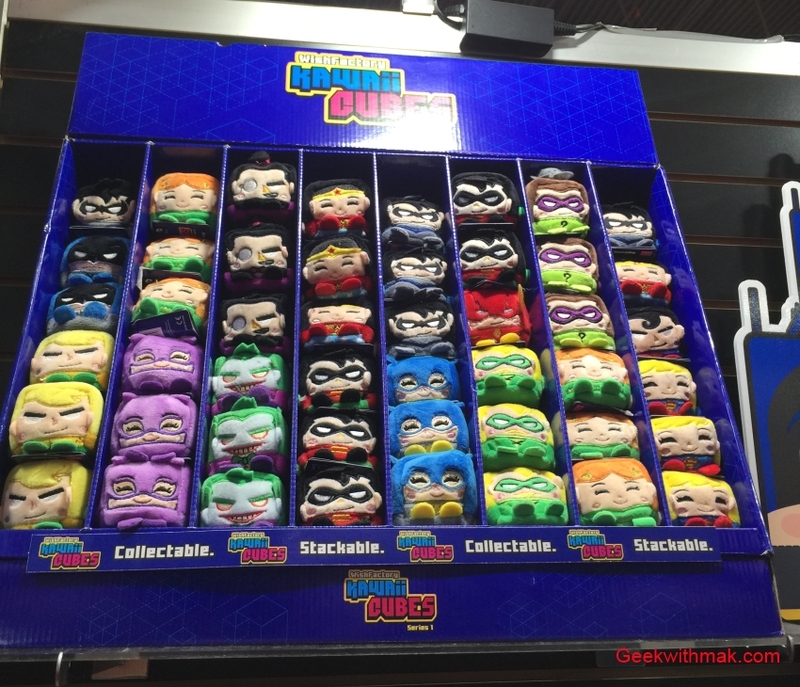 With several licenses that basically captures the opposite spectrum of Disney & Marvel, they bring us Warner Bros and DC Super Heroes into the stacking world. Similar to Tsum Tsum there are three different sizes, though more competitively priced now that Disney has raised their prices. Kawaii Cubes are $4.99, $9.99 and $19.99 for mini, medium and large respectively. So what makes these different? Well besides the obvious cube design, other features includes a weighted bottom where if you were to throw the figure against the wall or into the air (why, I have no idea), 9 out of 10 times it will land on its feet! With 16 DC Super Heroes (& Villains) and 16 Warner Bros to start, the company will look to expand their line with Star Trek, Batman vs Superman and Suicide Squad ones down the line. Would you consider buying these?